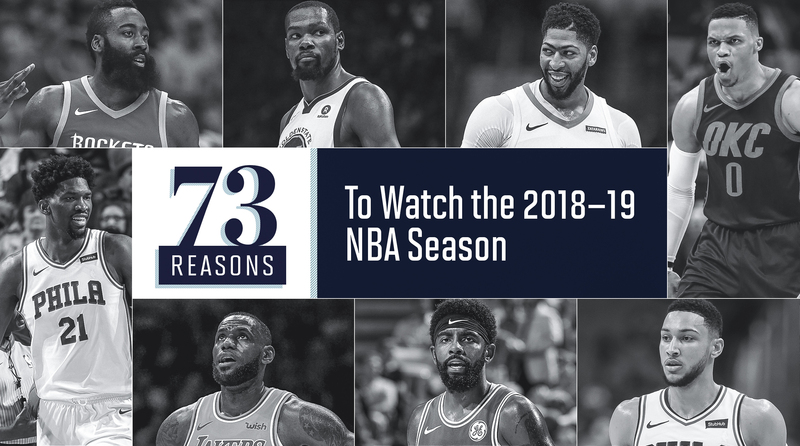 With the NBA tipping off its 73rd season on Tuesday, here are 73 reasons to watch in 2018–​19, in case a potential Warriors three-peat, LeBron James on the Lakers, and the dawning of a new era for the Eastern Conference weren’t enough for you. 1. New blood in the NBA Finals. With apologies to Tristan Thompson, who isn’t quite ready to raise the white flag, the NBA Finals will enter a new chapter in 2019. The Warriors and Cavaliers made history by becoming the first pair of teams to face off in four straight Finals, but it was clear to everyone—including LeBron James—that the showdown had run its course, with J.R. Smith’s time/score gaffe driving the nail in the coffin. The East’s new pack of favorites offers storylines galore. Boston: a blueblood franchise striving to be a modern superteam. Philly: a dream superstar duo surrounded by a devastating lineup. Toronto: a can’t-get-over-the-hump try hard infused with a franchise-changing, but mercurial, talent. Any of these three would breathe life into the 2019 Finals. 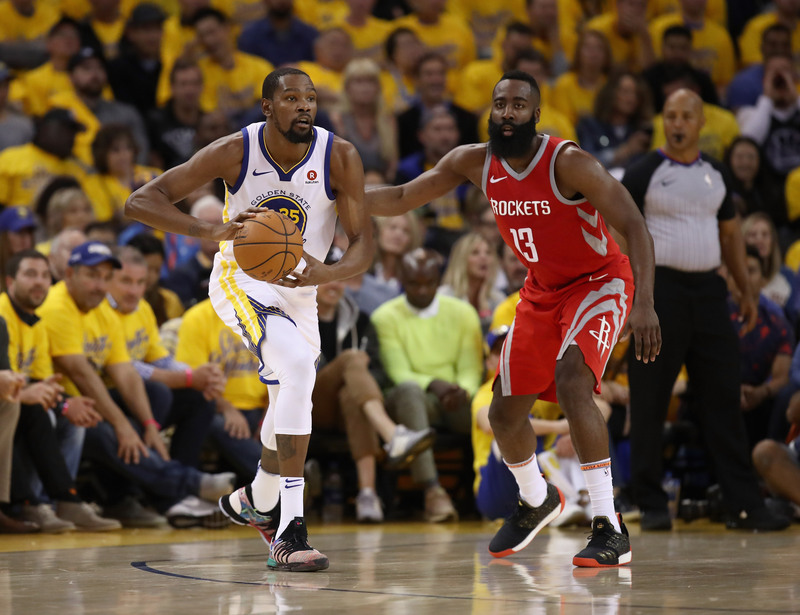 Out West, Houston is lurking with the same message they delivered convincingly throughout the conference finals: Don’t pencil in Golden State for a three-peat just yet. 2. The forgotten men of the 2017 draft. While Jayson Tatum and Donovan Mitchell led one of the highest-achieving, instant-impact rookie classes in recent memory, a bunch of fascinating prospects—De’Aaron Fox, Harry Giles, Jonathan Isaac, Josh Jackson, Malik Monk—didn’t really distinguish themselves in Year One. Here’s betting that a few of those less-celebrated first-round picks will blossom as sophomores. 3. Smallball, Version 3.0. The first major wave of smallball innovation saw undersized power forwards, like Draymond Green, play center. Then came a second and more drastic version, popularized by Houston’s P.J. Tucker, with physical small forwards logging time at the five. As training camps opened, coaches hinted at the possibility of going even smaller, with a wispy wing like Otto Porter manning the middle. With any luck, point forwards like Giannis Antetokounmpo and Ben Simmons will get more time in LeBron-like lineups as nominal centers with four shooters surrounding them. Bring it all on. 4. Jimmy Butler in the lineup for a Timberwolves team he requested a trade from, taunted in practice, and then showed up in a nationally televised interview. It’s clear what Butler wants at this point and clear enough what Minnesota seems to want in return via trade. What’s baffling is the fact that Butler will actually play for the Wolves this week, assuming—perhaps foolishly—that there isn’t some explosive change in his situation from the time of writing to the time of publish. 5. A center renaissance late in the playoffs? The flipside to the season-long smallball evolution is the possibility that traditional centers make a surprising reemergence late in the playoffs. DeMarcus Cousins gives the Warriors a totally different look than they’ve ever had, Clint Capela held his own in last year’s West finals, and the three major East contenders all have traditional centers at their disposal. 6. LeBronzo. The mythical pairing of legend and acolyte first took shape during the 2017 Las Vegas Summer League, when LeBron James sat courtside for a first look at Lonzo Ball. The two players then famously exchanged whispers following a regular-season game, a flirtation that hinted at James’s free-agency decision. Now the two extraordinary passers and trending-topic regulars are finally teammates and alley-oop partners. 7. Milwaukee’s offense, dragged out of the stone age. Under Mike Budenholzer, the Bucks are moving the ball and launching threes at will—clearing the way for Giannis Antetokounmpo to take over the world. If you thought Giannis was unstoppable before, just wait until you see him with all the comforts of a modern system. 8. Kevin Durant’s next move. Since his Bay Area arrival in 2016, Durant’s presence has led to some tense moments: an instructive rant from Draymond Green during a late-game loss, a million “snake” accusations, a burner-account apology tour, an extended tug-of-war for control of the offense in the 2018 West finals, and a Bob Myers joke gone terribly wrong at the championship parade. The scrutiny will be ever greater this year, as Durant enters the season amid talk that he’s plotting a 2019 exit to the Lakers, the Knicks or some other lucky landing spot. With LeBron James locked up in L.A., it’s only natural that Durant moves to front and center in the rumor mill. As Golden State chases a three-peat, his every move will be through a LeBron-like lens: every highlight will be evidence that he’s staying, and every misstep will be proof that he’s gone. 9. Options upon options upon options for Nick Nurse. There’s a learning curve for every first-time head coach, but less of one when you have one of the deepest rosters in the league at your disposal. While most of the league frets over their wing rotations, the Raptors will roll out Kawhi Leonard and Danny Green, or maybe OG Anunoby and Delon Wright, or possibly Fred VanVleet—moonlighting as an off-guard—and C.J. Miles. Norman Powell will remain behind glass in case of emergency. If Jonas Valanciunas isn’t quite on his game, Toronto could opt for Greg Monroe in his stead, play smaller with Serge Ibaka and Pascal Siakam at the five, or flatly reject the notion that they need a center at all. There’s a conceivable path for Toronto to make its first ever NBA Finals, and it starts with having a lineup for every occasion. 10. The Pacers, surprising no one. Even more fascinating than the breakout season is the response. How good can Indiana be when be the entire league sees them coming? 11. Houston’s KD problem. After a dream season that ended with a nightmare, the Rockets survived what could have been a summer of attrition with only one major departure: Trevor Ariza. There’s still enough firepower on hand to blitz most of the league, but Houston’s “obsession” with Golden State demands that Daryl Morey keep a close eye on his three spot all season. Matching up with Kevin Durant is no easy task, and there’s no obvious Durant-stopper candidate on the roster. Does Morey have another trade up his sleeve? Will someone shake free during buyout season? Is their best answer to take their chances by rotating through a bunch of passable options? This match-up, more than any other around the league, could determine the 2019 title. 12. The next step for Ben Simmons, whatever that looks like. Shooting range is only one way forward. What happens when Simmons becomes even more of a threat without the ball? Or when he learns to read evolving defenses even more fluently? Or when his defense more fully stifles opponents into submission? The best reason to bet on a resurgent season from the Warriors isn’t the addition of wild card center DeMarcus Cousins, it’s the return of Curry to full health. At 30, he enters the season still in his prime, with a stacked roster around him, and facing a league that still hasn’t engineered a method for consistently stopping him. Fireworks will commence. 14. LeBron James passing Michael Jordan on the all-time scoring chart. Although he is fond of saying that “he’s not a scorer,” James will almost certainly move past bucket-getting royalty this season. The Lakers forward enters his 16th season with 31,038 points, No. 7 on the all-time list. He sits just 1,254 points shy of Jordan’s No. 4 spot, and he will likely pass MJ, Wilt Chamberlain and Dirk Nowitzki this season. For reference: James has never scored fewer than 1,654 points in a season. As a postscript: Watch out, Kobe Bryant. James, already the NBA’s leading postseason scorer, is on track to claim Bryant’s No. 3 spot in 2019–20. 15. A stacked Defensive Player of the Year field. It’s nice to have Kawhi Leonard back for dozens of reasons, but here’s another one: the DPOY conversation just wasn’t the same without him. Leonard, a two-time DPOY, will take his place alongside fellow winners Rudy Gobert and Draymond Green, plus a pair of worthy, highlight-making candidates in Joel Embiid and Anthony Davis. When All-Stars like Giannis Antetokounmpo and Paul George are viewed as dark horses, it’s a good year. 16. 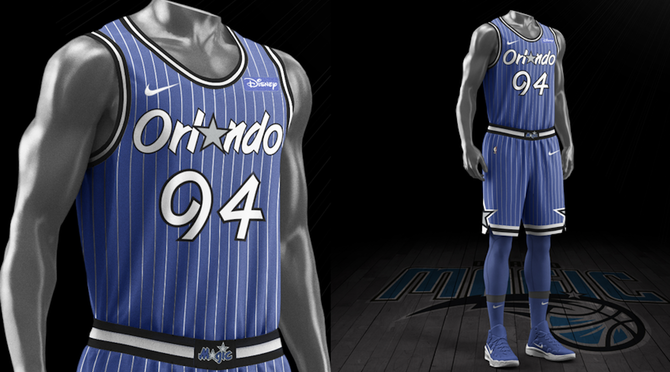 Orlando’s throwback blue pinstripe jerseys. The Magic are dusting off the Shaq/Penny classics as part of their 30th anniversary as a franchise. Why not soak in the nostalgia given the dreary present? 17. The best starting lineup in the NBA might be shelved by choice. Why would Philadelphia reshuffle a starting five (of Ben Simmons, Joel Embiid, Dario Saric, Robert Covington, and JJ Redick) that absolutely demolished its opponents last season? See below. Next PostNext ‘Start Here’: Elizabeth Warren, Khashoggi. What you need to know to start your day.